Good buy during time sale. No expiry date. First time purchasing this item. Have not try. Delivery took about a week. Bought item for my sister as gift. Cant find expiry date on the box. Trust item is fresh. Trusted brand to use. Item well packaged and would buy again when on sales. Took 3 weeks to arrive. Tried it. Very oily. Not sure if it authentic because I have allergic reaction to it. can you call me at 97999190 ? Sorry, may you clarify your enquiry here? Thank you. my order not receive ?? According to the tracking information, your order was delivery fail on 8-Apr and is ready for collection at BUKIT TIMAH POST OFFICE since 9-Apr. Please kindly contact the post office with your tracking number to get back your parcel or request re-delivery before 22-Apr. You can find the tracking number in your order information. I didn’t receive my order no 292776268 until now. Your order was dispatched on 26-Mar, the estimated international delivery time is 5-8 business days (exclude weekend and public holiday) after the parcel dispatched. Therefore you may receive the parcel within 2 to 8 Apr. According to the tracking information, your order was delivery in progress now, please kindly check the status at http://www.singpost.com/ with you tracking number, RP206572863SG. 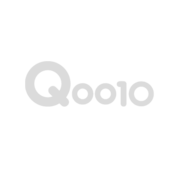 We regret that all promotion are set by Qoo10 Account Manager so we have no idea when or will there be next promotion. Hi what is the expiry date? The expiry date of this item in our stock is 2021 Jan. Normally the order will be shipped by Sing Post. They will attempt to deliver the parcel to your shipping address once. If no one is available, they will leave a notification at the address and the parcel will be kept in the post office for around 10 days for your self collection. What is the difference between lotion and gel type? Do you know? Clinique Dramatically Different Moisturizing Lotion+ combines all-day hydration with skin-strengthening ingredients. Skin is more resilient. Silky texture penetrates quickly. Spread over face/throat twice daily all over, or where needed. It is is good for very dry to dry combination skin. Dermatologist-developed. Allergy Tested. 100% Fragrance Free. Clinique Dramatically Different Moisturizing Gel is a lightweight, oil-free gel formula works to soften, smooth and improve. Step 3 in our 3-Step Skin Care System of cleanse, exfoliate, moisturize to bring skin to that famous Clinique glow.